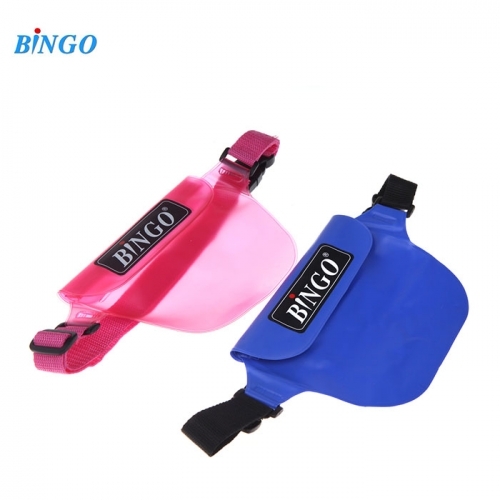 Bingo WP032 is a waterproof bag (up to 20 meters) that will be useful to protect your smartphone or your valuables. With the size of 18h12 cm, you can easily enough documents and phone simultaneously. Universal Waterproof bag, made of a special flexible and soft PVC (thermoplastic polymer) thickness of 0.3 mm. It eliminates the ingress of water, dust or sand, lets dive to a depth of 20 meters.